Based on actual events, FIELDHOUSE is a story of embracing adversity through challenges, teamwork, perseverance, and a positive attitude! In March 1995, Scott Novosel started for the Kansas Jayhawks in the Big 8 Championship game. 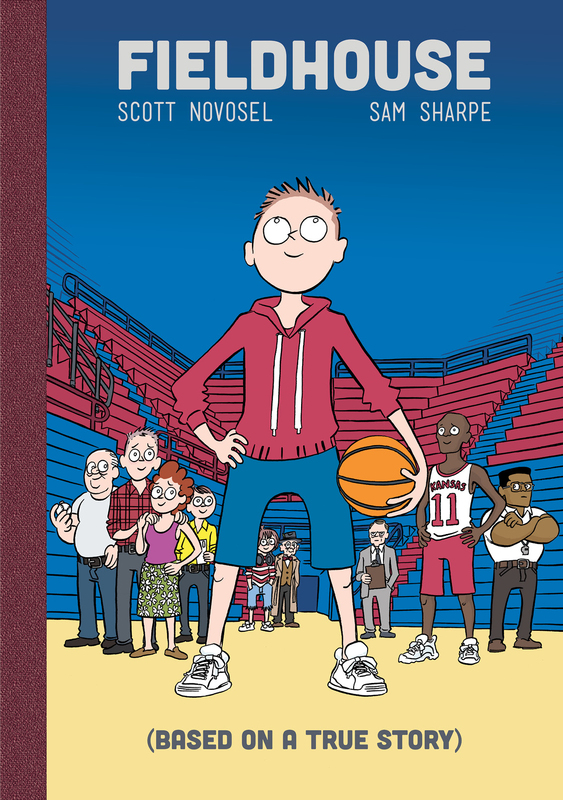 For the next 20 years, through endless determination and a mantra of never giving up, Scott completed the all ages graphic novel FIELDHOUSE with the help of the Eisner Award nominated artist Sam Sharpe. Together the duo produced an instant classic! Find out why parents, teachers, librarians, and grandparents are declaring FIELDHOUSE a "MUST READ!" 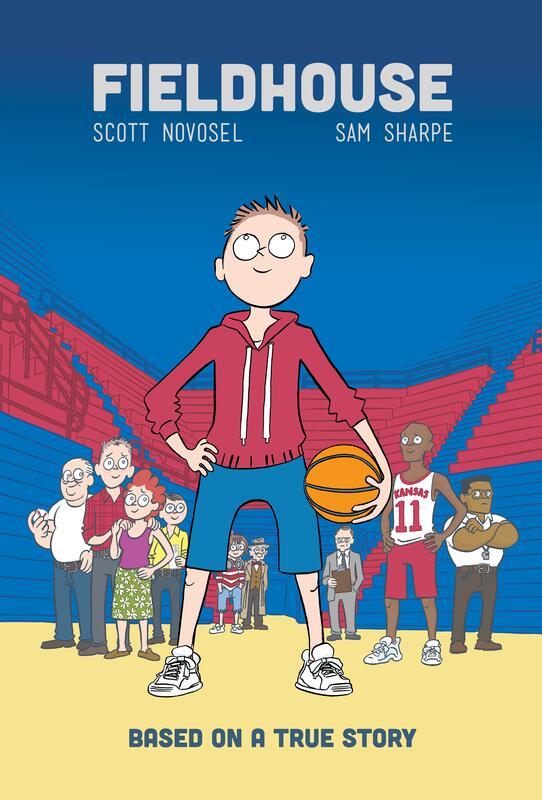 At first glance, Fieldhouse, by Scott Novosel appears to be a basketball story. And it is a story about basketball. After three tryouts as a walk-on player with the Kansas Jayhawks, Novosel finally succeeds in his senior year. He plays fifteen games for Coach Roy Williams and alongside future NBA players. It's also more than a basketball story. It s an underdog story. In the three years prior to Novosel making the team, no walk-on had been selected. His perseverance and dogged pursuit of his dream actually pays off. But even more than a basketball story, and an underdog story, it's really about all the people who helped make Novosel's dream come true. The book is filled with fun and interesting characters, and they are my favorite part of it; cheering Novosel on even when his dream seems crazy and unobtainable. His parents, for example, worry that young Novosel is setting his sights too high, but agree they prefer that to him setting them too low. Fellow players help him train so they can benefit from his positive attitude, Phog Allen's son makes several appearances, and his brothers both do their best to help. Great for all ages, and not just for sports fans.